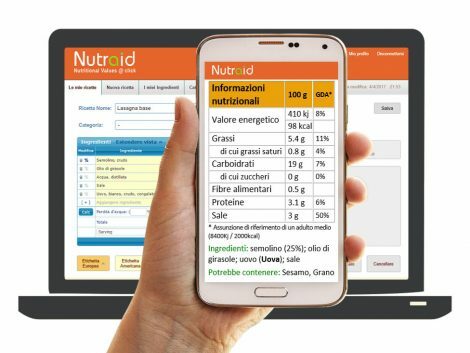 Tel Aviv, Israel (May 4, 2017) – Nutraid, an innovative provider of nutritional analysis and food labelling solutions, today announced that the company will be launching its Nutraid SaaS solution at the upcoming Seeds & Chips Global Innovation Summit in Milano, Italy. The Nutraid SaaS solution is designed for food manufacturers, caterers and restaurants to calculate the nutritional values of their recipes and create compliant food labels in minutes. With the Nutraid SaaS solution, users simply enter their recipe ingredients and customized label information and then select their label format and language. The labels can be downloaded for further editing or can be exported directly to label printing software. The Nutraid SaaS solution addresses the growing need for regulation compliant food labels. For instance, EU Regulation 1169 requires that all food manufacturers in the European Union clearly and accurately provide customers with information on nutritional value, allergens and ingredients declaration for the foods they package, while the FDA in the United States maintains strict standards for food labels. The Nutraid SaaS solution easily supports these and other regional and international food labelling regulatory requirements. The Nutraid SaaS solution is currently available in several European languages, including English, French, Italian, German, Spanish, Portuguese and Dutch, while additional languages can be easily added. The Nutraid SaaS solution can automatically translate labels to any of the available languages and includes options for preparing multilingual labels. The Nutraid SaaS solution also incorporates several international ingredient databases, including McCance & Widdowson, USDA, INRAN and Ciqual. The Nutraid SaaS solution runs from the Cloud and is accessible from any device. Nutraid reports that the company successfully launched last year in France and currently holds a 20% market share in Israel. Nutraid is currently expanding its global sales channel partner network and is looking for new strategic partners, such as technology vendors and solution providers, supporting SMEs in the Food & Beverage sector. Nutraid will be demonstrating its nutritional analysis and food labelling solution at the Seeds & Chips Global Innovation Summit in Milano, Italy on May 8-11 at the Israel Pavilion at Booth B19 in Hall 12 and is offering a 50% discount on an annual subscription to all event attendees. 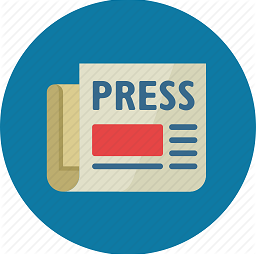 Nutraid’s General Manager, Roni Avital, will be presenting at the event’s conference during the session on Smart Labelling and Packaging at 2:30pm on May 11. Nutraid Europe Ltd. is a leading software vendor for the global Food & Beverage industry, combining food technology with dynamic software development expertise. Nutraid SaaS is a cloud-based solution that helps food manufacturers, caterers and restaurants to easily calculate the nutritional values of their recipes and create multilingual, compliant food labels in minutes. The software is compliant with the latest EU 1169/2011 and FDA food labelling regulations. Nutraid SaaS supports automatic label translation to major European languages with no installation, minimal training and online availability from any device. For more information, please visit: www.nutraid.com.